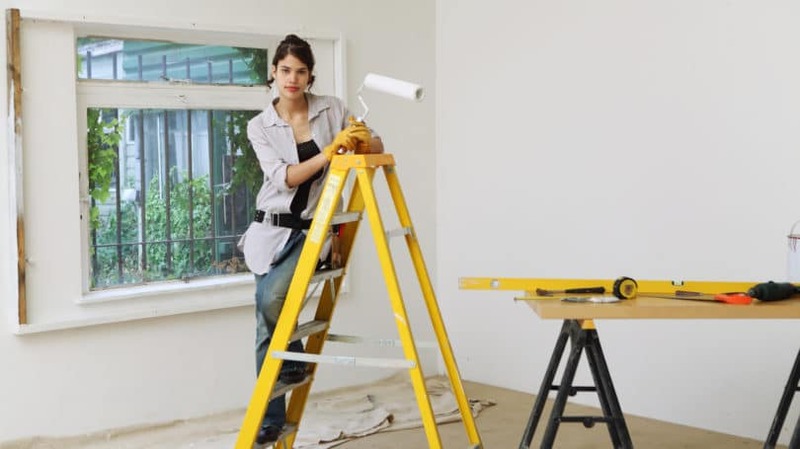 Do It Yourself (DIY) or Hire a Contractor for Home Improvement Projects? When you buy a home, the money you pay up front is just the beginning. You’re also on the hook for a whole slew of ongoing expenses, including property tax, homeowners insurance, utilities – and, of course, repairs. According to mortgage lender Wells Fargo, homeowners should expect to spend between 1% and 2% of their home’s total price on repairs each year. Mind you, that’s just for routine maintenance. If you have any major remodeling jobs in mind, plan to tack on a whole lot more. HomeAdvisor, a site that matches homeowners with contractors, claims that it costs an average of $9,000 to remodel a bathroom, $15,000 for a basement, and $20,000 for a kitchen. For many of these jobs, the biggest expense is labor. HouseLogic, a site run by the National Association of Realtors, breaks down the cost of the 10 most common home repairs, and labor is typically the most expensive in 9 of the 10. In fact, in some cases it vastly outstrips the cost of materials. For example, fixing a door that’s out of alignment costs about $5 for the necessary hardware – plus $30 to $125 per hour for a handyman, with a possible minimum charge of $150 to $350. In many cases, you can avoid this cost by doing a home repair or remodel on your own. However, just because you can do it yourself – or DIY, for short – doesn’t necessarily mean you should. Complicated jobs, such as plumbing, electrical work, and tile setting, should be left to skilled professionals, as Consumer Reports says in its Bathroom Remodeling Guide. On the other hand, there are some jobs, such as painting, that you can almost certainly handle yourself – even with no experience at all. The tricky part is to figure out which jobs you can tackle on your own and which need a professional’s expertise. The answer to that question depends on a long list of factors, including your skill level, available time, and the overall cost. My husband and I are fairly dedicated DIYers. I have a long list of all the projects we’ve done on our house in the eight years we’ve owned it, and the overwhelming majority of them were DIY jobs – both small ones, such as replacing cabinet hardware, and big ones, like insulating our attic. Yet there are a handful of jobs on that list for which we hired contractors without hesitation or regret. In every case, we chose to do so for one of three reasons: safety, difficulty, or time. These are the three points that experts say are most important to consider when deciding whether to DIY. It Could Destroy Your Home. Major plumbing jobs, such as moving bathroom fixtures, fit into this category. If you don’t get everything properly installed and tightened, you can end up with a water leak – possibly one that goes unnoticed for years until it weakens a wall to the point of collapse. Of course, that would also be true if a plumber hired by you made the same mistake – but in that case the plumber would be at fault and would have to pay for the damage, according to legal experts. It Requires a Permit. One warning sign that a job is probably too complicated for a DIY job is that it requires a building permit – a document that guarantees a construction job was done safely. Each city has its own rules about which jobs require permits, how much they cost, and how difficult it is to get one. In some areas, it’s fairly easy for a homeowner to apply for a permit for DIY work. In others, you can’t get a permit at all unless you’re working with a licensed contractor. However, even when getting a permit is no problem, the fact that you need one is a sign that you should think carefully about whether this is a job you really want to tackle yourself. For me and my husband, one job that fit into this category was replacing our water heater. If it had been an electric water heater, we might have tried to do it ourselves. However, ours ran on gas, which made the whole job both more complicated and more dangerous. Any time you work with gas, there’s a serious risk of fire, explosion, or poisoning. We decided any job that involved cutting into gas lines was a job we weren’t going to touch. Obviously, there’s no way you can tackle a home repair job unless you know how it’s done. In some cases, having no experience isn’t a deal breaker, because you can learn everything you need from a DIY book or a YouTube video. Sources like the DIY Network can teach you how to handle all kinds of simple repair jobs, such as fixing a leaky toilet or a squeaky door hinge. However, other jobs are so highly specialized that it takes years of training to handle them on your own. Even Nicole Curtis of the DIY Network show “Rehab Addict” – a woman who fixes up houses for a living – hires contractors to help her with complicated jobs like moving plumbing fixtures or pouring concrete. It’s Dangerous. Many jobs that require technical know-how are jobs you’d want done by a contractor anyway for safety reasons. Mistakes Could Be Costly. Even when there are no safety issues involved, paying extra for a professional job is often a good investment. If you’re not quite sure what you’re doing when you tackle a job, you risk having to call in a contractor to fix your mistakes – so instead of saving money by doing it yourself, you could end up paying twice for the same job. It Could Hurt Your Home’s Value. Real estate broker Jim Smith, in an article written for NEA Member Benefits, warns that slipshod work is a “turn-off” for future buyers. Elizabeth Goltz, a designer quoted in the Consumer Reports Bathroom Remodeling Guide, agrees, pointing out that even the priciest bathroom tile looks cheap if it’s poorly laid. My husband and I ran into this problem one winter when we noticed the bricks of our side porch stoop coming loose. At first, we thought we could simply reset the loose bricks as soon as the weather warmed up, but it soon became clear that the entire stoop was falling apart. Moreover, when we talked to a contractor about it, we discovered that the reason for this was poor drainage, which was weakening the foundations. At that point, we realized that this was simply too complicated a job for us to tackle ourselves. The smarter move was to pay a professional to rebuild the stoop properly than to try and fix it ourselves and end up having to do the whole job over a year later. Obviously, you get the most value out of a DIY job when it’s much cheaper to do it yourself than to hire a pro. The snag is that the more a job costs to have done professionally, the more of your time it’s likely to take. Price the Professional Job. Start by figuring out how much it would cost to have the job done professionally. The most accurate way to do this is to get quotes from contractors, but you can also get a quick estimate from HomeAdvisor. Just type in the name of the job you want done and your ZIP code, and the site displays a price range based on survey data from other homeowners in your area. Add Up the DIY Cost. Next, you have to figure out how much it would cost to do the job yourself. This includes prices for materials, tools, and permits, if you need them. Add all these expenses together to figure out the total amount it would cost to DIY. Then subtract this total from the cost of a professional job to determine how much you can save by doing it on your own. Estimate the Time Required. This is a lot harder to estimate than the cost, because the answer depends on your experience and skill level. However, home-repair books often give estimates of how long a job usually takes for novice, intermediate, and expert do-it-yourselfers. You can also find time estimates for some DIY jobs on HouseLogic. Calculate Your Hourly Wage. 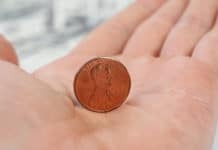 Once you have estimates for both the potential savings and the time involved, divide the savings by the time to find out how much money you can conserve for each hour of work. In effect, this is the amount you can earn per hour for doing this job yourself. Now all you need to decide is whether you’re willing to work for that wage. My husband and I choose to do most repair jobs ourselves, even long ones, because we enjoy the process, as well as the savings. However, we found an exception to this rule when we decided to rewire our basement. We’d done small electrical repairs ourselves, but adding several new ceiling lights and moving around all the switches was going to be a much more significant job. And, since we both worked full-time, we knew we’d only be able to work on it during evenings and weekends. Based on the size of the job, we realized it would probably take us weeks (if not months) to complete, while an electrician could do it in one day. Furthermore, it was a job that required a permit, and getting one in our town is not an easy task. So, we decided that shelling out $600 to save ourselves all that time and hassle would be money well spent. Both DIY and professional jobs have their costs. For a DIY job, the biggest investment is time. When you hire a contractor, it’s cash. In both cases, however, you want to get the most bang for your buck. By keeping a few tips in mind when you start a project, you can maximize your investment – in both time and money. Choose High-Return Projects. Repairs are necessary, but remodeling jobs are optional. To get the most out of them, you can choose to focus on the projects that add the most value to your home when it’s time to sell it. For instance, the 2015 Cost vs. Value Report from Remodeling shows that when you replace your front entry door with a new one made of steel, you can expect to get back the entire cost of the new door when you sell. However, adding a new sun room returns only half its cost. Exact costs and values vary based on where you live, so go to the site and enter your location for more specific information. Choose the Right Contractor. The single most important thing you can do to get the best value out of a professional remodeling job is find a good contractor. Ask your friends and neighbors for recommendations, and get quotes from at least three contractors, asking not only about their fees but also about their experience with this type of work. Do a little homework on all the contractors, checking their ratings with the Better Business Bureau and making sure their licenses and insurance are up-to-date. Then make an informed choice, balancing the contractors’ quoted prices against the quality of the work you can expect from them. Communicate. According to Consumer Reports, most of the problems that homeowners have with contractors – and vice versa – come from faulty communication. Homeowners get upset when contractors don’t show up on time, leave a mess, or don’t listen the their requests. Contractors get upset when homeowners call them at inappropriate hours or let their kids and pets interrupt the work. To avoid such problems, establish clear guidelines ahead of time about what you each expect: working hours, working conditions, cleanup, and where to go if you have questions. If a problem does pop up, talk to the contractor about it as soon as possible. Putting it off just makes it more expensive to fix. Build Your Skills. Even if you’re completely new to DIY, you can tackle small jobs like fixing a leaking faucet or putting up a shelf. Instructions are available online, and you can’t do too much damage if you mess up. After building your skills and confidence with little jobs like these, you can work your way up to bigger ones, such as replacing a toilet or building a bookcase. Prioritize. According to Consumer Reports, it’s a mistake to skimp on items that have to stand up to heavy use, such as bathroom tiles or kitchen appliances. However, you can save money with more basic light fixtures or faucets, since performance is about the same at all points on the price spectrum. Save on Tools. If a DIY job requires a tool you don’t have, see whether you can borrow one from a friend or neighbor. If that’s not an option, check out Craigslist and eBay – and, if you have time, local garage sales – to see if you can buy one secondhand. If it’s a large tool, such as a floor sander or paint sprayer, you can rent it from a store like Home Depot instead of buying it – for an item you only expect to use once or twice, this is almost always cheaper than making a purchase. If buying new is your only option, see if you can find a friend or neighbor who would like to share the tool with you and split the cost. That way neither of you has to pay full price for an item you only expect to use occasionally. The choice between DIY and hiring a contractor is more than just a matter of dollars and cents. It’s a careful balancing act between money and a long list of other factors: less hassle, faster results, safety, and professional-quality work. 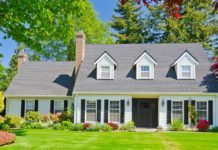 All these advantages explain why so many homeowners come down on the side of hiring a professional, despite the higher cost. However, there’s one advantage of DIY that you can’t put a price on: your pride in showing off a job you did yourself. If nothing else gives you quite the same thrill as taking your friends on a tour of the new deck you built with your own hands, that’s more than enough to make up for all the time and work you put into it – even when the cost savings are minimal. Which home repair jobs do you DIY? Which ones do you leave to the professionals?